Aldi – short for Albrecht Discount – was first opened in Essen, Germany, by Anna Albrecht in 1913, before it was taken over and expanded by her sons Theo and Karl in 1948. The chain was then divided by the brothers into Aldi Nord and Aldi Sud, two distinct chains both operating under the name Aldi and expanding around the world. Aldi is currently spending $US1.9 billion to remodel existing stores and another $US3.4 billion to build 800 new ones over the next four years. See what else you may not know about the grocery giant. Aldi, the grocery giant known for its super-discounted prices, has a surprisingly complicated history behind it. Aldi – short for Albrecht Discount – was first opened in Essen, Germany, by Anna Albrecht in 1913, before being taken over and expanded by her sons Theo and Karl in 1948. 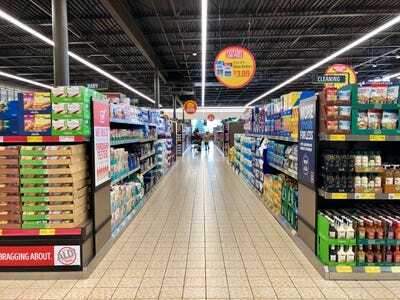 The brothers then divided the chain into Aldi Nord and Aldi Sud, two distinct chains that operate under the same no-frills principles, which have each expanded on a global scale. Aldi is currently spending $US1.9 billion to remodel existing stores and another $US3.4 billion to build 800 new ones over the next four years, Business Insider’s Hayley Peterson reported last week. 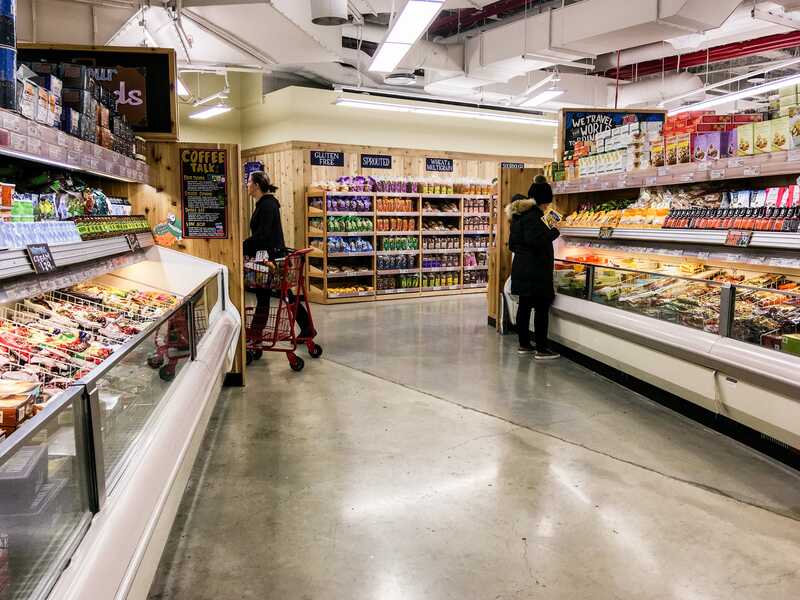 The company announced last week that it’s rolling out a massive store overhaul that will emphasise fresh, organic, vegetarian, and vegan items in its US stores. 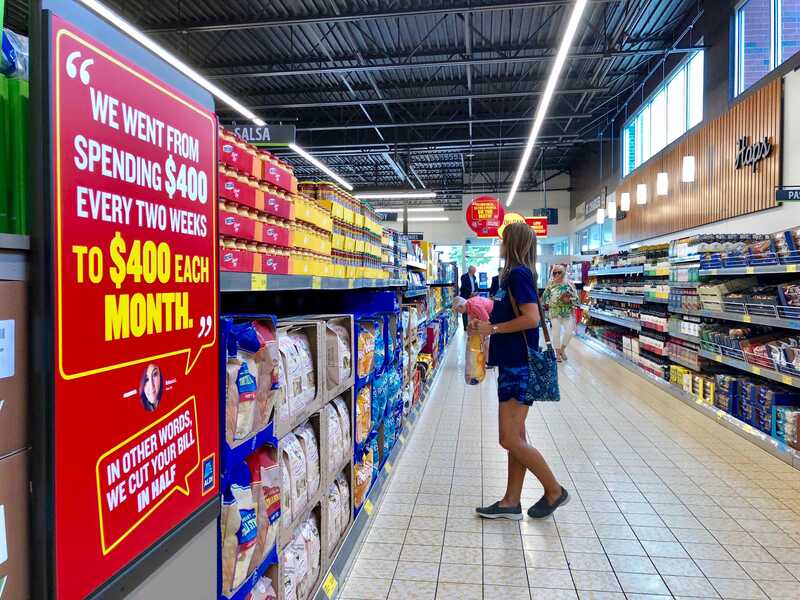 By the time it completes the refresh in early 2019, about 20% of Aldi’s grocery items will be new, the company said. 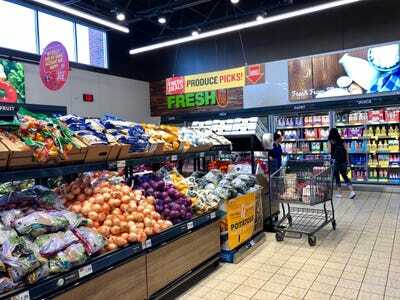 Aldi is known for its low prices and no-frills store design. One reason its prices are so low is that a majority of the groceries it carries are private-label. It also limits store sizes and hours, enforces a cart-rental system, and focuses on efficiency to lower labour costs. Here are some other things you may not know about the chain. Aldi has been around for over 100 years. It was founded as a corner store in Germany by a woman named Anna Albrecht in 1913. Aldi is short for “Albrecht Discount,” the original store name. Albrecht’s sons, Theo and Karl, took over the company in 1948. In the mid-1960s, the Albrecht brothers had a disagreement over whether or not the company should sell cigarettes. To settle the dispute, they divided the company. Because of the divide, there are actually two different Aldi chains: Aldi Nord, which was controlled by Theo Albrecht in northern Germany, and Aldi Sud, which was controlled by Karl Albrecht and operated in southern Germany. The two stores still operate separately. 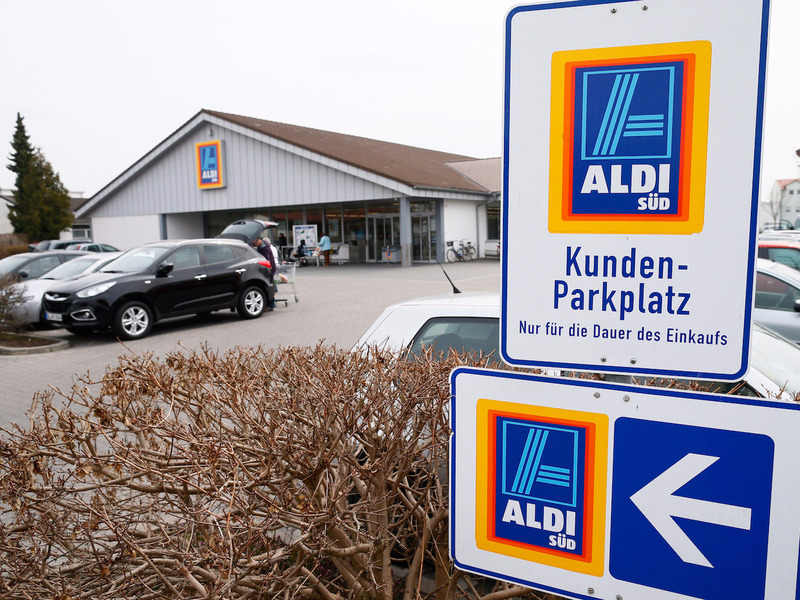 Aldi Nord has a simpler, white-and-blue logo, and Aldi Sud has the blue-and-orange logo we recognise in the US. 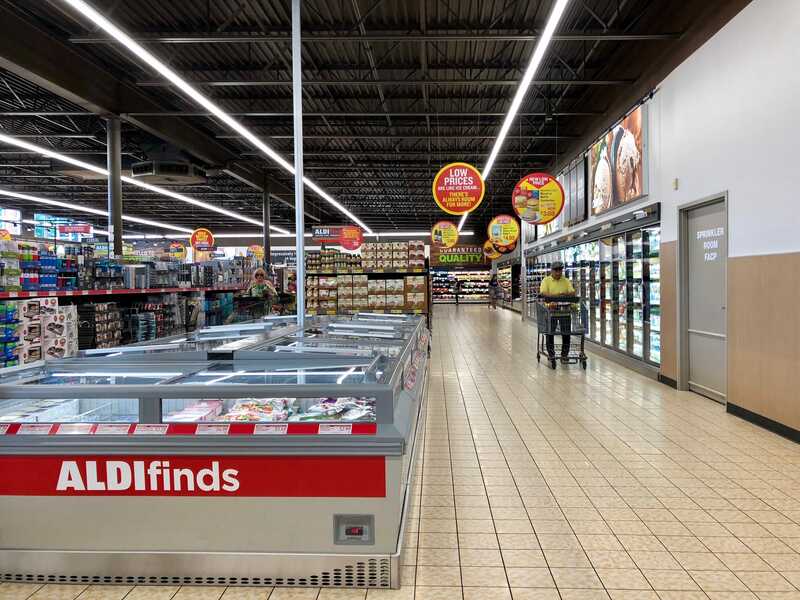 Aldi Nord and Aldi Sud are both expanding overseas, but Aldi Sud is the branch expanding in the US. Aldi Nord doesn’t exist in the US — Trader Joe’s does instead. Theo Albrecht purchased the Trader Joe’s chain in 1979, expanding the Aldi brand’s influence in the US. Aldi Nord still operates Trader Joe’s in the US. Before his success with Aldi Nord and Trader Joe’s, Theo Albrecht was kidnapped and held for ransom for 17 days in 1971. He was released, but as of 2017, there are still millions of dollars missing from the kidnapping. He died in 2010. Aldi is known for being inexpensive for a few reasons. It mainly sells private-label products, much like its sister company Trader Joe’s. It also limits store size and hours. Having shoppers rent shopping carts also keeps costs low because it eliminates the time and labour needed to retrieve abandoned shopping carts. 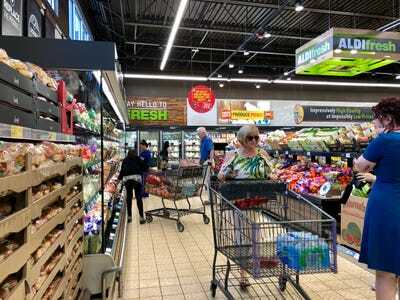 Currently, Aldi has over 1,600 stores across 35 states — nearly double what the chain had a decade ago. 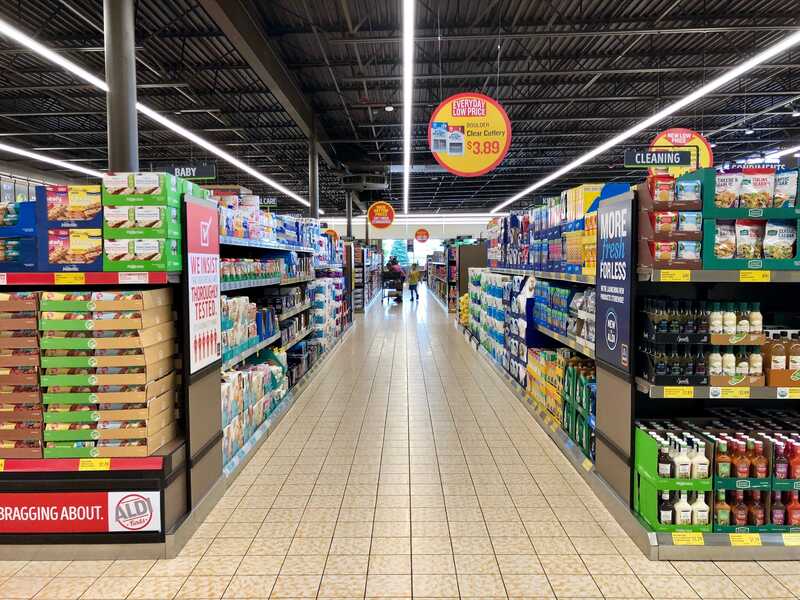 By the end of 2022, Aldi plans to have nearly 2,500 stores open in the US. 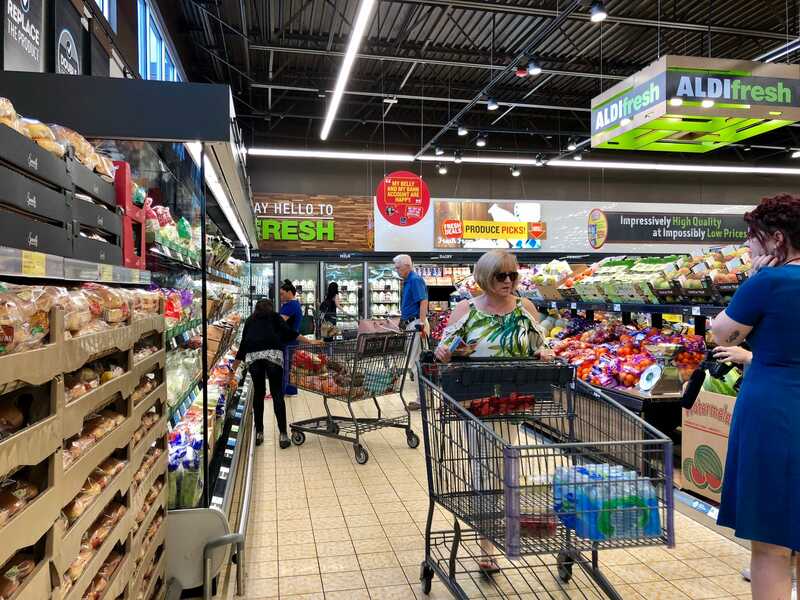 It’s on track to become the third-largest grocery in the US by store count, behind Walmart and Kroger.